The key benefit that sets Yomillio members apart from their competitors is that our AI matching engine is able to find the right buyers, sellers, distributors and service providers for your business. It works better when we have more data about what you do as a business, what you buy, make and sell. 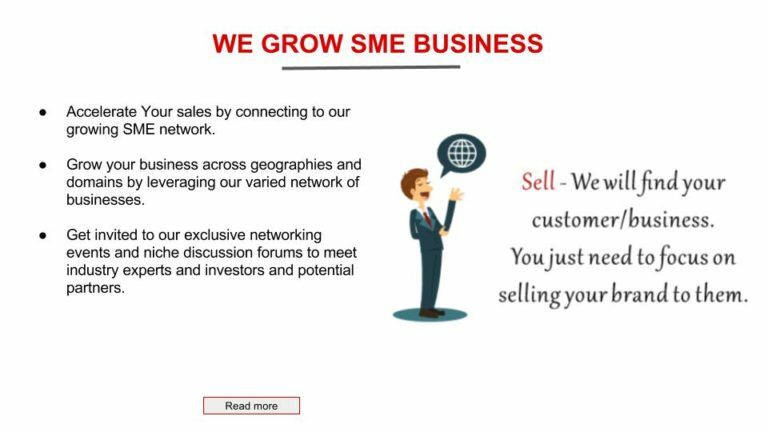 Today, I’m going to share with you some insights into this step by step process of increasing SME sales by finding, targeting and reaching the right customers. This is a simple 4-step process that you can follow in a systematic manner to convert your buyer personas into needs, keywords and then website content. Create buyer profiles of your key customer groups. Based on the profile, list all the needs of each set of customers. Convert each need into a keyword or keywords that they search for to find solutions to this need. Create or modify website content that provides the answers to the questions your persona groups are looking for. No one knows your business, industry and all your potential customers better than you. Sit down and figure out who they are. For example, if you manufacture and sell GPS vehicle tracking device suppliers, then you would have to create buyer personas for schools who have their own fleet of buses, logistics and trucking companies who transport cargo nationwide, and commercial vehicles carrying perishables or hazardous cargo that needs to be constantly tracked. Now how do you flesh out a persona? How do you define this customer as a person? In the above instance of GPS tracking devices, the customers are all businesses, so you need a different set of questions that applies to B2B customers. Below are links to two sample buyer personas – one B2B and the other B2C. Fill it up and submit to us, and feel free to make use of these forms to create your own buyer personas. As the seller of GPS trackers, you know that schools need your solution for their buses. But you also have to find and list all their other needs. For example, they need to buy or rent buses, hire drivers, conduct background checks, teach students about road safety and traffic rules, etc. They may also need related services such as budgeting and spending for transportation, fleet maintenance, management of the bus schedules, etc. The content you create based on these other needs may only be somewhat relevant to your company, but you can find an angle to connect GPS trackers with other keywords such as student safety, driver jobs, renting buses, etc. The idea is to create content based on all these keywords and attract your target persona. It’s not essential that they should come looking to buy GPS trackers. Get them to come visit your site and give you an email, phone number and other information. If you do this, you have generated a lead which you can add to your marketing and sales funnels. You typically need to take such persona-based visitors on your site through 3 stages before they are ready to buy. Awareness: At the mouth of the funnel, this is a wide net you cast based on all their needs (school safety, uniforms, jobs, books, teachers, education, etc.). Consideration: Once they’re on your site and/or you have their email, provide them alternatives to consider in terms of GPS tracking solutions. They’re not going to buy without doing some comparison shopping, so you might as well be the one to provide the choices. Decision: This is where you explicitly make your online sales pitch. Sell your GPS tracker as the best in class, and the ideal option for your website visitor who has been brought down through the funnel. If all this seems interesting but you don’t have time for it, Join Yomillio. We’ll connect you to digital marketing consultant who can create a content funnel for you.